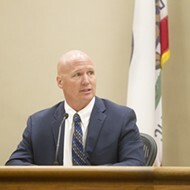 Atascadero City Council opened a can of worms April 8 when members discussed the possibility of renegotiating a long-held contract for waste collections. 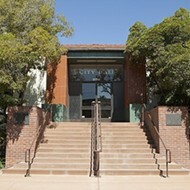 The current contract for solid waste and recycling collection has been held by Atascadero Waste Alternatives Inc. (AWA), owned by Waste Management—the largest company of its kind in the United States—since 1996, when the company bought out the long-time local hauler Wil-Mar. Since then, the company has received routine contract renewals. But multiple factors, including the staggered timing of contracts with other companies for waste disposal, led the city to look to adjust the contract renewal process. Enter two other companies that urged the city to open up the contract for proposals. Mid State Solid Waste and Recycling currently receives Atascadero’s recyclables and green waste at its Templeton receiver site, and San Luis Garbage Co. is owned by another garbage giant, Waste Connections Inc., and collects waste everywhere in the county except for North County. The result thus far is that AMA has a chance to explain why it should keep the contract amid an oncoming challenge from the two other companies to free up a contract that hasn’t been opened for decades. “In waste management, we find that a lot of people paint us as not a local company, but that’s just wrong, folks. 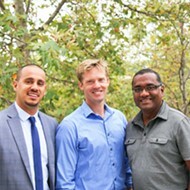 We are local,” said Doug Corcoran, director of public sector for the company’s Southern California area. Corcoran listed a roster of those long-employed by the company, followed by a list of additional services the company could provide in a new contract. 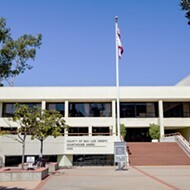 The contract was scrutinized for having the highest commercial recycling rates in the county, yet was acknowledged for having especially low residential rates. Once the discussion was under way, council members asked Corcoran why there was such a disparity in rates, a question he couldn’t answer because the rate structure preceded him at the company. This became a point of contention in the discussion, in which council and staff wrestled with the two options of getting more answers while renegotiating the existing contract, or undertaking the broader—and more costly—process of opening up the contract for proposals from other companies. Kelly Astor, a Los Angeles-based attorney and waste industry lobbyist, spoke on behalf of Mid State Solid Waste and Recycle, as did the company’s owner Brad Goodrow and one of his senior employees. 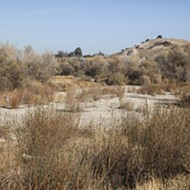 John Ryan, manager of the Cold Canyon Landfill, also told the council why San Luis Garbage Co. should have a chance to throw its hat in the ring. That company brought a prop—wheeling in a petite gray bin standing just about 3 feet tall—in a humorous attempt to show that the company has the smallest in the room, a sign of how well they divert waste from the landfill and offer slim rates in doing so. “Their tomorrow is our today,” Ryan said. After nearly four hours and many rounds of the many parties and staff hashing out the what-ifs, the council split on how to proceed, with councilmembers Bob Kelley and Brian Sturdevant advocating for the contract to be opened up for proposals, and councilmembers Roberta Fonzi and Heather Moreno wanting to first address the current contract before reinventing the wheel, prompting Mayor Tom O’Malley to become both the negotiator and the swing vote. The council decided 3-2 to first attempt to renegotiate with AMA, and then revisit the possibility for a larger proposal process in June.